Located in Camp Verde, AZ, Cliff Castle Casino has been voted as Arizona’s top casino for over 10 years in a row. The facility houses an array of slot machines and live game tables. Cliff Castle also offers options for the whole family to-do, including a 20-lane bowling center, arcade, gift shop, and live entertainment, along with an array of dining choices, such as Mountain Springs Buffet. If you’re planning a trip to Cliff Castle Casino, let Via Trailways help you get there! We want your trip to be as stress-free as possible so you can focus on having a fun-filled time. 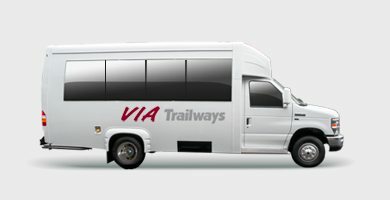 When travelling with Via you’ll be able to relax in one of our comfortable, secure charter buses after a long day of gambling, bowling, and dining. Enjoy a unique gaming experience of Blackjack, Poker, or choose from a large selection of slot machines. Unwind with live music performances at Stargazer Pavilion. Shoot some hoops or battle aliens at Orbits Arcade.